A quick summary of the opinions expressed are that increasing use of technology, sensors, and the resulting “big data” brings substantial opportunities – and risks – to agriculture. 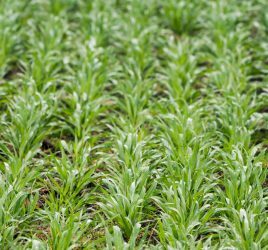 The opportunities are timely given the increasing demands upon agricultural systems. The risks include the benefits of increased yields being captured by intermediaries, knowledge from research and specialist practices being shared with competitors (whether that’s other farmers or service providers), or farmers’ own data being “turned on them” by environmental or animal welfare lobbies. It’s little wonder that the most proactive farmers are determined to use technology, but also determined to retain appropriate control and direction about how that data is utilised. If you’ve followed this blog for a while, you’ll also know that this is an area of real interest to me, to Rezare Systems and our collaborators. 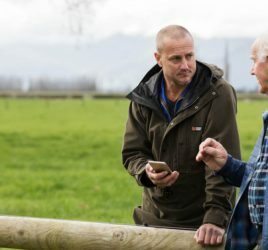 We’ve been managing a programme of work funded by DairyNZ and the Red Meat Profit Partnership through the Primary Growth Partnership, which aims to clarify things for New Zealand farmers and to remove the burden of duplicated data entry by streamlining how data flows between systems. The Farm Data Code of Practice is an accreditation programme for organisations that hold farm data, and ensures that they and their farmer customer/suppliers have mature, transparent discussions about data ownership, access and use. It has been a long time coming, but I’m pleased to see that the first applications for accreditation are currently being processed – watch for announcements in early 2016. A huge number of individuals and their organisations have participated in defining “data dictionaries” (definitions and a common vocabulary) for a wide variety of farm-related information, including elements as diverse as animal genetic traits, irrigation monitoring parameters, stock classification and farm financials. Work on these Farm Data Standards is continuing with Vicki Fabling facilitating a group working on attributes of farm spatial entities. Contact Vicki to learn more. After some nine months or more of gestation, the third component of our work is now well underway. Currently called “Data Linker”, this is a set of protocols that enable secure, standardised data interchange between organisations controlled by farmer permissions and electronic licence agreements. Importantly, the protocols build on open internet standards such as REST, JSON-LD, and OAUTH 2. Once permissions have been granted (and until or unless they are revoked), data flows from provider to recipient, without going through any central database or service. There are no tickets to clip, and no central authority controlling (or viewing) farmer data. This puts the onus on data providers and recipients to get the technology right, so we’ll be supporting them with pre-built components and examples that can be integrated. In my earlier post I invited people interested in participating to get in touch. A number of organisations did, and we’re planning on the first data interchange connections being tested in February and March 2016. 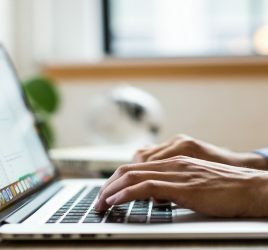 Over the next few months we’ll be defining common schemas – those JSON and web-service definitions that can be reused to avoid starting each connection from scratch. It looks likely the first such schemas will be for carcass data, stock reconciliations (and stock transactions), and individual animal data for genetic improvement. Others such as farm financial records and spatial data will follow. This is an exciting time to be working in agricultural technology, as new participants enter the field and existing organisations refine and redefine their offering. Existing players need not fear implementing open standards and protocols too, as it is better to be an active participant than one the industry sidesteps. Ensuring that standards and best practices around data are included in those new offerings will bring benefits for farmers, participating organisations, and in time, for consumers.